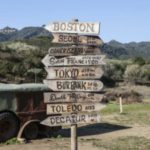 This is a guest post by Piper Smith. 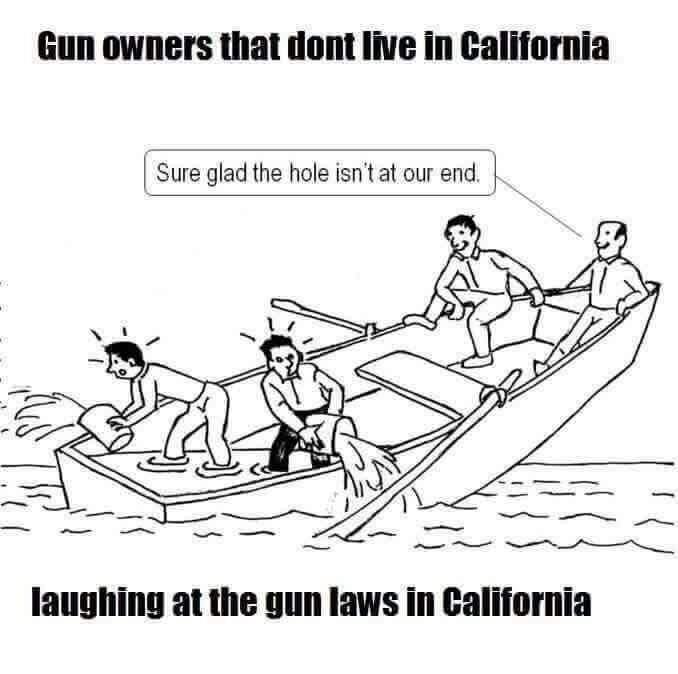 This post first appeared in The Truth About Guns. 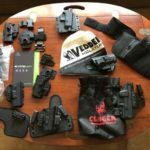 Over the last few years my involvement in the 2A community has been quite enlightening. 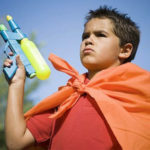 One of the realities I have become more and more aware of is that our tendencies as human beings to engage in petty rivalries, competition, and back-stabbing is alive and well within the 2A community. While this really shouldn’t be all that surprising and is to be expected anytime you have large groups of people involved in an inherently politically-charged field of business and activism, we truly need to do a better job of remembering the bigger picture. I’m not sure if you’ve noticed, but WE DO NOT HAVE THE NUMBERS TO AFFORD DIVISIVE INTERNAL BICKERING. 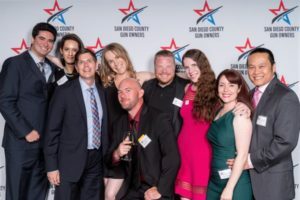 Our anti 2A opponents are much more willing to work hand-in-hand with just about any group, business, politician, donor, agency, media outlet, etc. that will support their cause. Meanwhile here in the pro-2A camp we’re quick to tear each other apart because not everyone agrees on immigration policy/handgun caliber/heath care/the NRA/victimless crimes/abortion/libertarianism/conservatism etc. 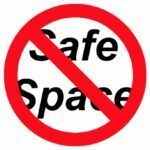 We’ve all seen the Facebook groups, the forum boards, the comments sections of articles where huge groups of us who agree about the importance of preserving and protecting the Second Amendment devolve into hours/days/years of tearing each other apart on all these other issues. It sows division, it causes exhaustion, and it pushes many to feel uncomfortable with the idea of getting more personally involved in the fight to protect our civil rights. 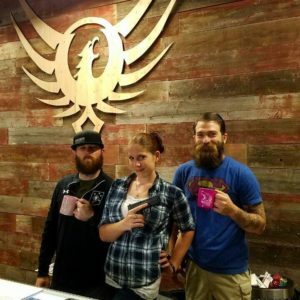 Here in southern California there’s a local firearms shop that goes so far above and beyond to support the big picture 2A cause that they’re absolutely deserving of special mention. Gunfighter Tactical, locally known as GFT is owned and operated by Ryan Peterson and Lee Moiseve. GFT was the first shop to reach out with an offer of support after I formed Armed Equality. That offer of assistance was so clear and unequivocal that it blew most of the other initial responses I received out of the water. I have since built fantastic relationships with many other shops and instructors, but GFT will always have a warm place in my heart for being the first to step up. Gunfighter Tactical is where my girlfriend and I bought our first carry pistols (matching Smith & Wesson Shields) and where she bought her first firearm a few years ago (a Springfield XD). 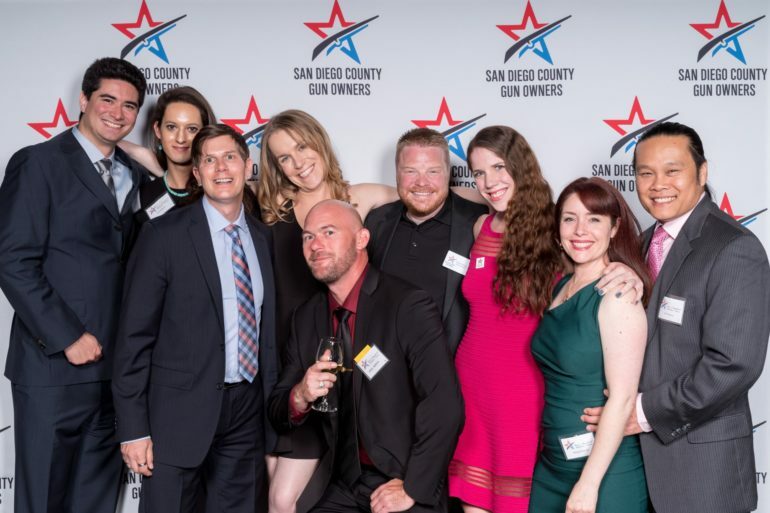 Not only have they hosted Armed Equality RTBAV, RSO, and CCW events after hours in their shop at no charge, they even designed and printed handouts (without our asking) for us to distribute at local LGBT events. They’ve gone out of their way to bring in non-traditional demographic first-time shooters to their shop where all are treated well, never shunned/mocked or otherwise made to feel uncomfortable (actions that many shops still engage in). 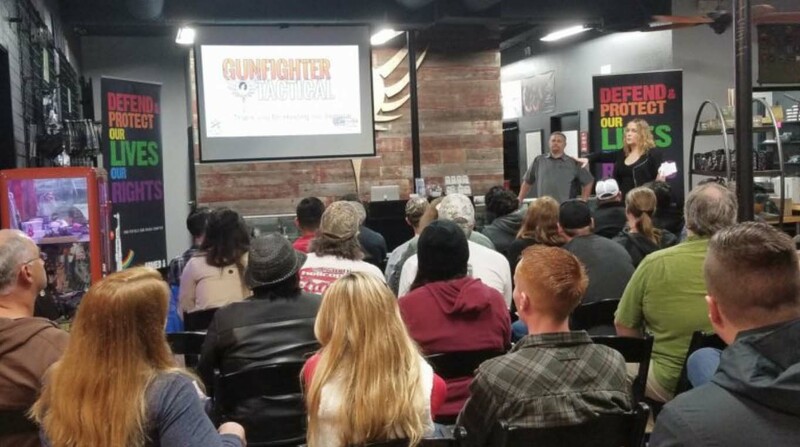 Gunfighter also often hosts San Diego County Gun Owners monthly meetings at their own expense and have donated thousands of dollars worth of firearms and accessories to SDCGO fundraisers and social events. I’m sure you’ve heard the idiom “to give the shirt off one’s back.” Well a few weeks ago my girlfriend and I were planning to attend our first firearm training event, solely as students without the distraction of also being the event facilitators. But I’d forgotten I needed to replace a belt. I rushed over to GFT and my failure to plan was resolved by one of the kindest most empathetic men I have ever met in my life, Ryan Peterson. He literally disarmed himself, took off his belt and loaned it to me for the weekend until they could get more in stock. I have countless examples of Ryan and GFT going above and beyond but, I think you get the picture. 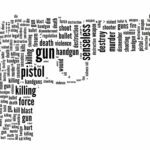 In running Armed Equality I regularly receive reports, both good and bad, from members about different instructors, shops, etc. and I do my best to reward the good guys and resist the temptation to call out the bad guys. SDCGO Michael Schwartz & FPC Brandon Combs are men I consider great and admirable mentors who also deserving of great praise in context of this topic. 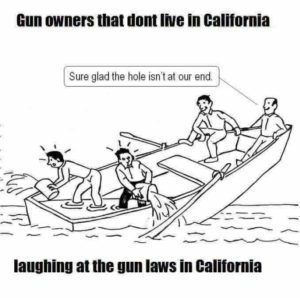 They’re always looking at the big picture, the long game, and the efficacy of various 2A community building actions. So please pay closer attention to the shops around you.  Get to know the owners, and ask them how they’re involved in the big picture, long-term, fight to preserve, protect and extend the Second Amendment. Ask them specifically how they are assisting in growing the 2A community beyond merely selling firearms. 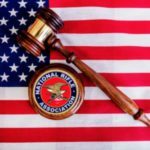 In my view, only having a ‘join the NRA’ display on the counter isn’t good enough; we need that and so much more. Watch how your favorite shops treat unsure newcomers. See if they bend over backwards to make a first-time, overwhelmed, on-the-fence, hesitant individual comfortable. If not, they’re doing it wrong. If they’re doing it wrong, let them know, and if they won’t change, take your dollars elsewhere. We’re all in this together. Let’s make sure we remember to act and behave like it. 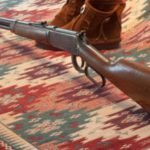 Next Post“The Gun That Won The West” – Everyone Should Own a Lever Gun, They’re Just Too Much Fun!